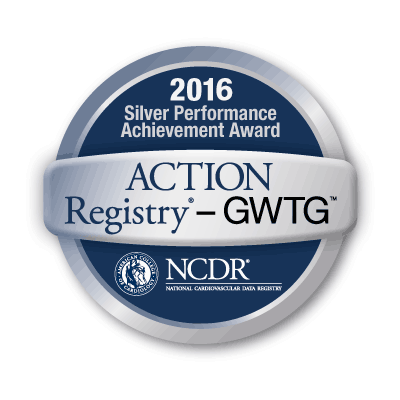 To receive the ACTION Registry–GWTG Silver Performance Achievement Award, this hospital consistently followed the treatment guidelines in the ACTION Registry–GWTG for four consecutive quarters and exceeded the performance standard of 90 percent for specific performance measures, with an overall composite score of 95 percent. 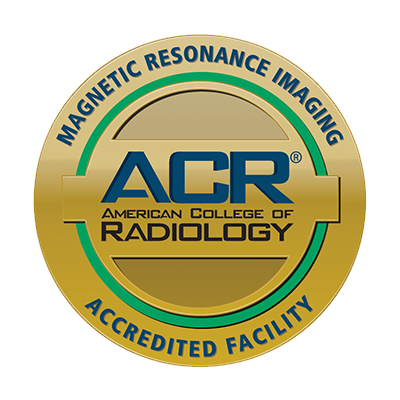 ACTION Registry-GWTG empowers health care provider teams to consistently treat heart attack patients according to the most current, science-based guidelines and establishes a national standard for understanding and improving the quality, safety and outcomes of care provided for patients with coronary artery disease, specifically high-risk heart attack patients. 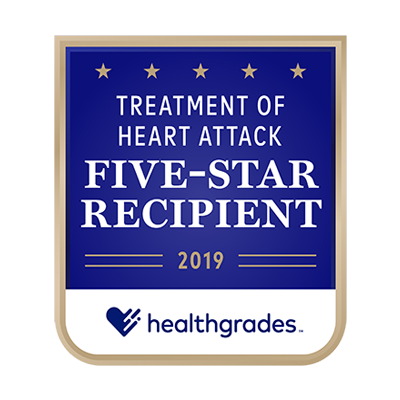 This hospital has achieved 5-stars for its treatment of heart attacks from Healthgrades® Every year, Healthgrades evaluates hospital performance at nearly 4,500 hospitals nationwide for 34 of the most common inpatient procedures and conditions. 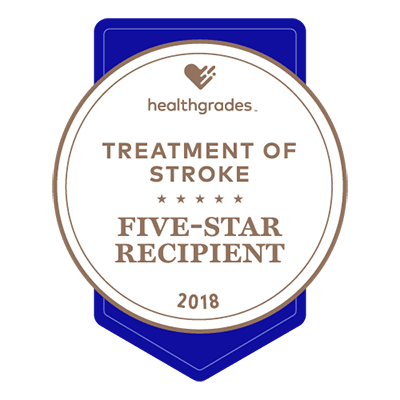 A 5-star rating indicates that this hospital’s clinical outcomes are statistically significantly better than expected when treating the condition or performing the procedure being evaluated. 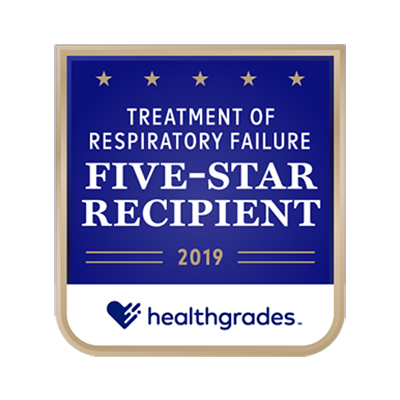 This hospital has achieved 5-stars for its treatment of respiratory failure from Healthgrades® Every year, Healthgrades evaluates hospital performance at nearly 4,500 hospitals nationwide for 34 of the most common inpatient procedures and conditions. 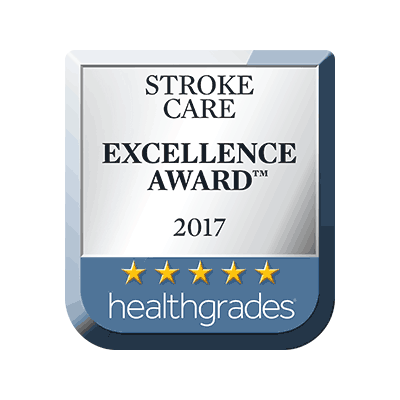 A 5-star rating indicates that this hospital’s clinical outcomes are statistically significantly better than expected when treating the condition or performing the procedure being evaluated. 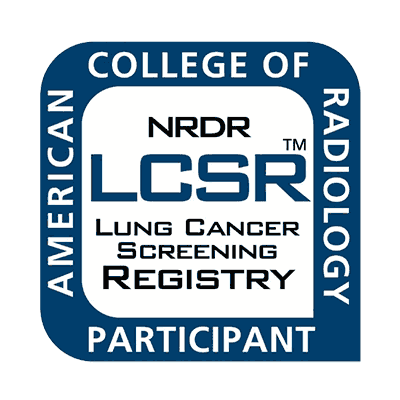 This facility participates in the ACR Lung Cancer Screening Registry (LCSR), which is approved by the Centers for Medicare & Medicaid Services to meet Medicare quality reporting requirements. As part of the ACR National Radiology Data Registry (NRDR®), the LCSR leads the effort in developing benchmarks and comparisons to help imaging facilities improve quality of patient care. 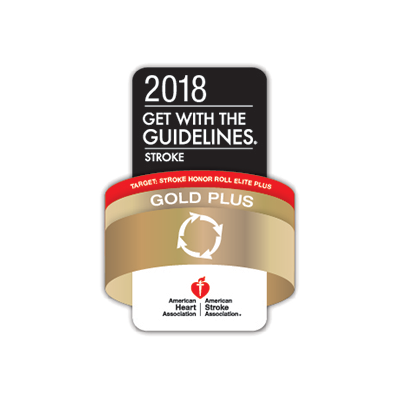 Aetna Institutes of Quality® (IOQ) recognizes this facility for consistently deliverying evidence-based, quality care for weight-loss surgery, cardiac medical intervention, cardiac rhythm and cardiac surgery. 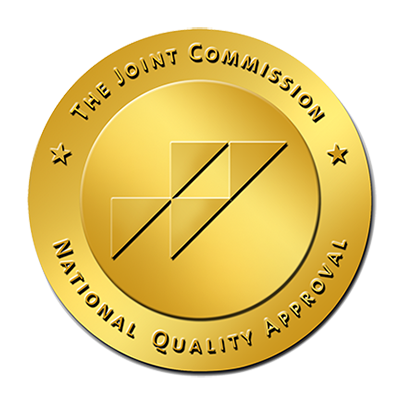 Facilities earn IOQ status for showing a high level of quality but also for efficiency in bariatric procedures. Aetna measures many factors, like the level of care patients receive, how often patients return to the hospital after surgery and more. This hospital is a GIFT designated birthing facility. 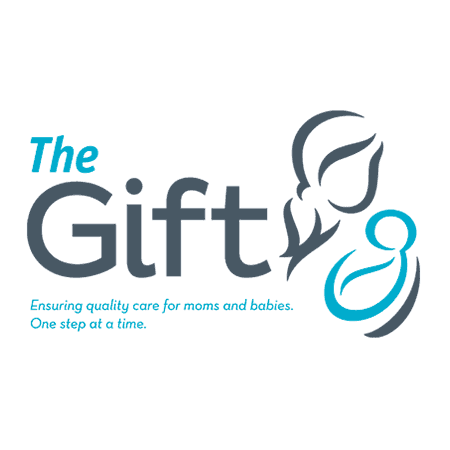 The Gift (Guided Infant Feeding Techniques) is an evidence-based program designed to increase breastfeeding rates and hospital success by improving the quality of their maternity services and enhancing patient-centered care. 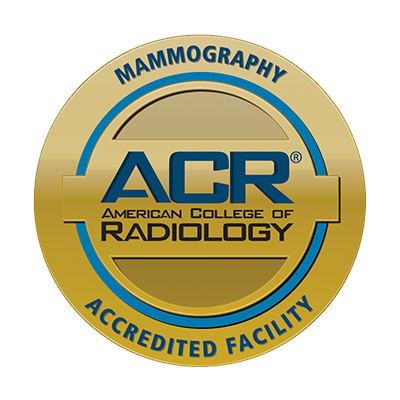 It is a hospital designation program that is endorsed by the Louisiana services and enhancing patient-centered care. It is also endorsed by the Louisiana Chapters of the American Academy of Pediatrics and American College of Obstetricians and Gynecologists and the Louisiana Commission on Perinatal Care and the Prevention of Infant Mortality. This hospital is accredited by The Joint Commission in its hospital-based main laboratories or testing facilities, free-standing laboratories, embryology laboratories, reference laboratories, blood banks and donor centers.